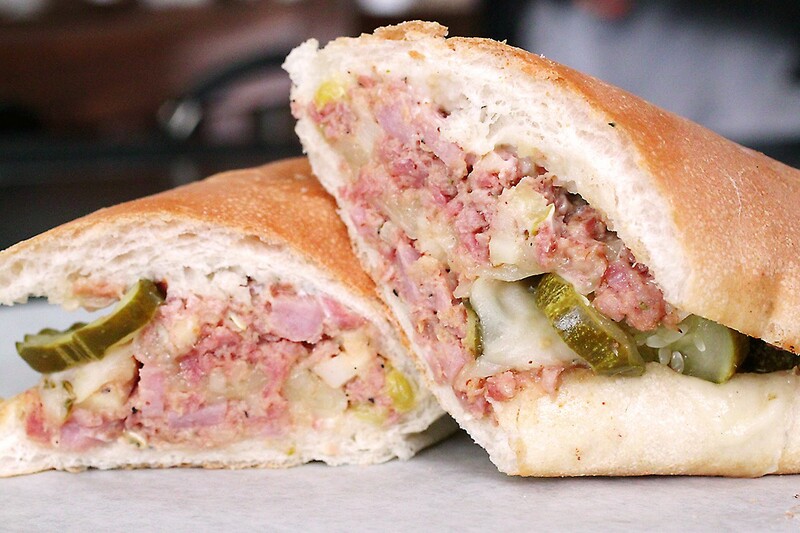 Wolf Down The Meaty “Three Pigs” Sandwich At Antone’s Famous Po’ Boys! 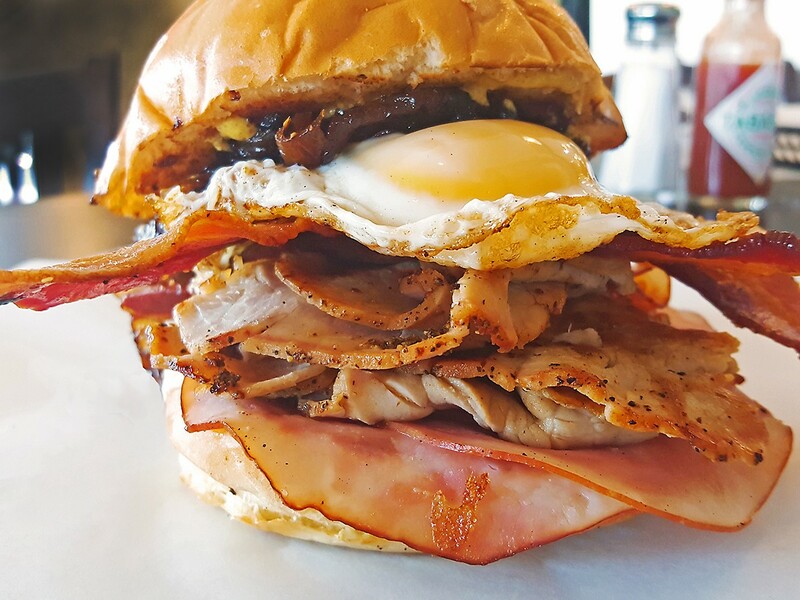 The Three Pigs, the new special at Antone's Famous Po' Boys, features bacon, ham and pork loin, all topped with a fried egg on a Slow Dough bun! Photo courtesy of Antone's. Antone’s Famous Po’ Boys special sandwich, The Three Pigs, features a big stack of three kinds of pork—house-roasted pork loin, bacon and ham—all topped off with caramelized onions and a fried egg! All of that porky goodness is layered on top of a locally made challah bun from Slow Dough spread with housemade chipotle mayo and spicy mustard. Believe it or not, even with all of those ingredients, The Three Pigs is only $8.95! Looking for more satisfaction on a bun? Also try The Piggy po’ boy! We make a rustic ham salad mixed with chopped salami, pickles and tangy Pickapeppa sauce. Then, we load it onto a fresh, yeasty Royal Bakery po’ boy loaf spread with mayo and layered with Provolone and pepper jack cheese. It’s a flavor sensation that Houstonians have craved for decades. Antone’s Famous Po’ Boys is located at 4520 San Felipe (in the Galleria area just off the 610 feeder) and at 2724 West T.C. Jester (near the 610 North and 290 interchange).